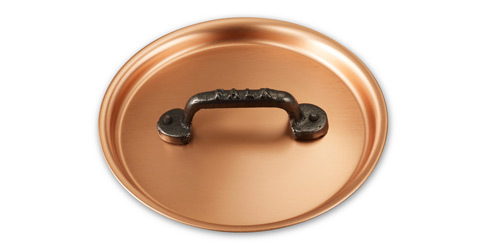 We know you'll love this	14cm copper lid	as much as we do. 4.6 stars out of	5 based on	3 reviews. Very nice lid Very attractive little lid. Love the handle which compliments it well and stays cool to the touch. Fits the 14cm saucepan very snuggly. Does everything it should whilst looking great! 1254 customers found this review helpful. Did you? Yes, I did! 1206 customers found this review helpful. Did you? Yes, I did! Great Lid Compliments 14cm Saucepan perfectly. 1187 customers found this review helpful. Did you? Yes, I did! Well worth getting I bought this lid alongside the 14cm saucepan and have been using it since day one. I've been using the pan to cook portions of porridge, grains, pasta, beans etc where having the lid has allowed the liquid to simmer away on a much lower temperature than usual. If that's how you see yourself using the saucepan then I'd definitely recommend getting the lid as well.